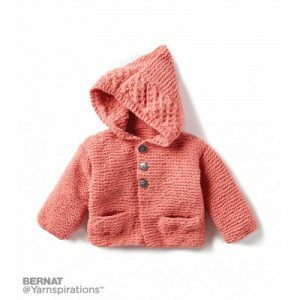 Bernat In The Details Knit Hoodie Free Baby Pattern. 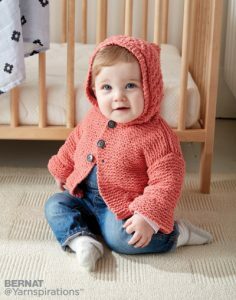 Treat baby to this knit hoodie, made in Bernat Baby Blanket Tiny. This is a great piece to bring along as an extra layer for cooler days!